John Cena has been the face of the WWE is 2005. From his gimmick as a rapper, he has transitioned into an “American Marine” gimmick where he is the All American good guy. He is active in the Make a Wish Foundation, an advocate of the US military and acts as a good role model to the youth and the WWE audience in general. To date, John Cena has won 15 world titles and has had multiple reigns as United States Champion (5) and Tag Team Champion (4). He has headlined dozens pay-per-views and sold countless pieces of merchandise. He has also beaten every important character in the roster from The Rock to Brock Lesnar to Seth Rollins. Captain America is Steve Rogers in real life. He was originally physically unfit to serve the military as he was too small and frail. This did not deter his willingness to serve his country. He volunteered to try out the experimental super soldier serum. This serum gave him enhanced strength, speed and agility. He then took the identity of Captain America and served in the war to fight the Nazis and any threat to America’s freedom. In one mission, he fell to into the ocean and spent decades in suspended animation. While everything else in the world underwent change, Captain America did not age. He was later on rescued by Tony Stark and the Avengers. From then on, he has become one of their most valuable members. 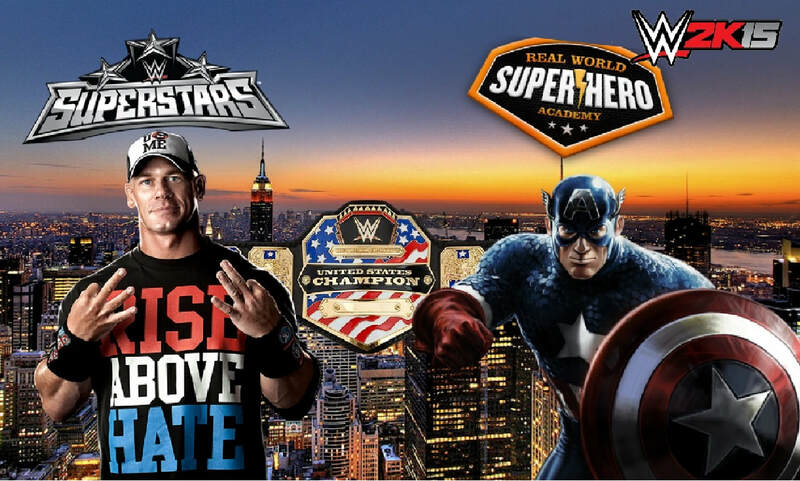 Why Would John Cena Be a Good Captain America? John Cena is a well-built athlete and could have easily been on super soldier serum. He is also the All-American good guy same as Cap. Also, John is excellent in melee combat. He has the ability to take on entire factions of wrestlers such as the Shield, the Wyatt Family and the Nexus. In various media, Captain America can take on entire armies of soldiers and villains. John Cena’s experience in the movie “The Marine” could help him portray the “Steve Rogers” side of Captain America when he isn’t masquerading as the masked Avenger. John’s “never give up” attitude would also be perfect as Captain America never surrenders in the face of insurmountable odds. Overall, John is the wrestling embodiment of the first Avenger.